Leading with the idea of family, Avenue were challenged to conceptualise a new branding style to unite three golf courses, their public presentation, marketing materials and online presence. Refreshing the individual course logotypes involved creating a more robust icon for each separate club whilst maintaining an element of continuity across the group. This was achieved with the introduction of a shield - synonymous with heritage and belonging. When combined with the development of a classical but softened logotype, the group now stands as a unified, informal family of logos. 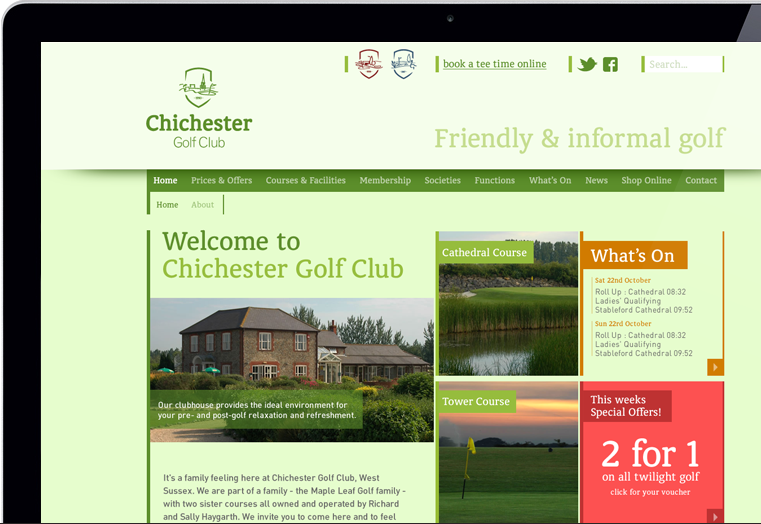 We then redesigned the three club websites. Bound by similarities in structure, form and hierarchy, the clubs colours’ were called upon to differentiate between locations. 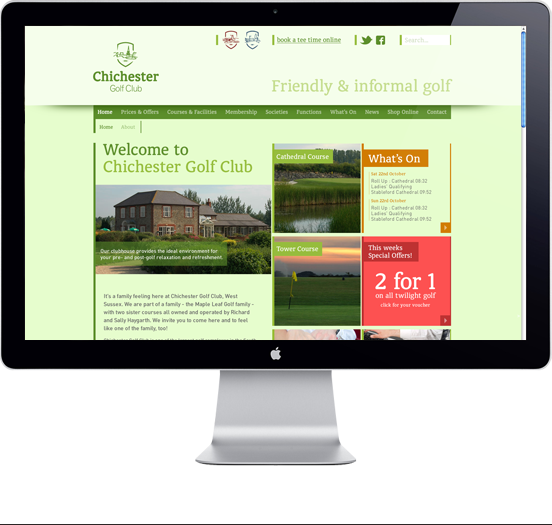 Quick inter-site navigation was introduced to encourage members and visitors to view the breadth of offerings within the group. 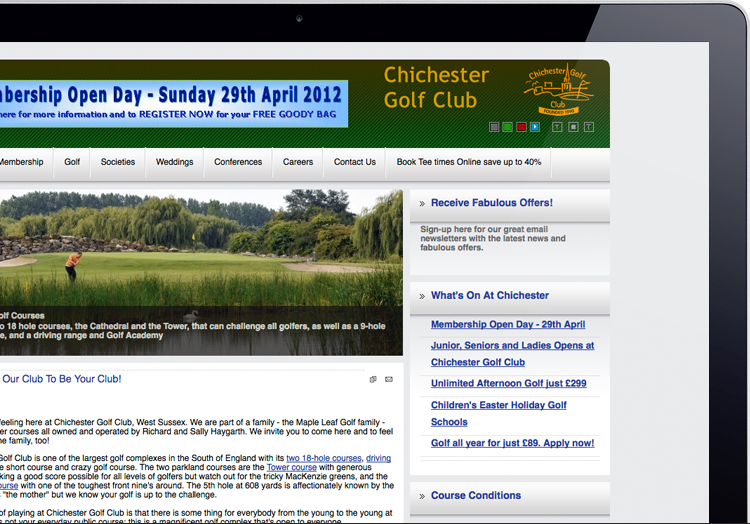 Key features like the course guide and special offers are championed within the new look to drive visitors to principal pages. Avenue refreshed the group’s logos to produce a family of identities tied together by form, differentiated by colour. We created a flexible template that enabled the clubs to produce posters at speed when needed, whilst maintaining a distinct brand identity. 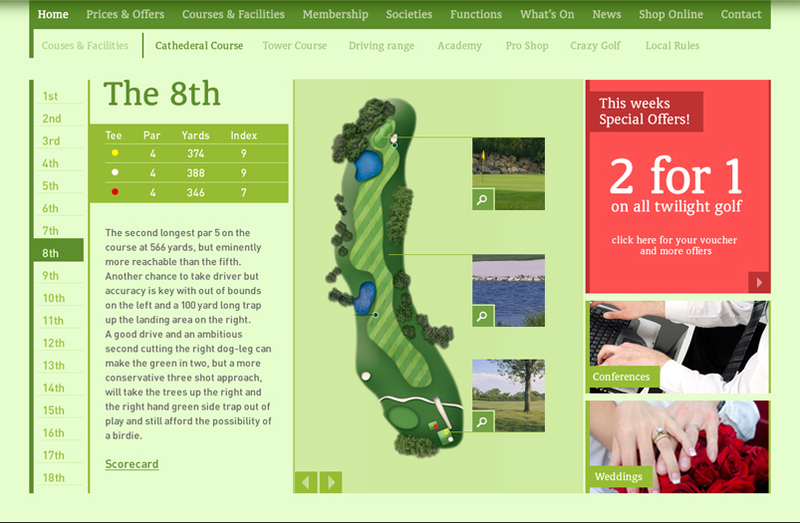 Avenue put concepts together aimed at bringing the course’s websites up-to-speed with the level of facilities on offer. Visual clarity and independent client maintenance were the driving forces behind this complex web design. Close up on the web design detail. A large amount of time was invested in re-thinking the clubs’ online course guide, to create an intuitive system for golfers of all abilities. 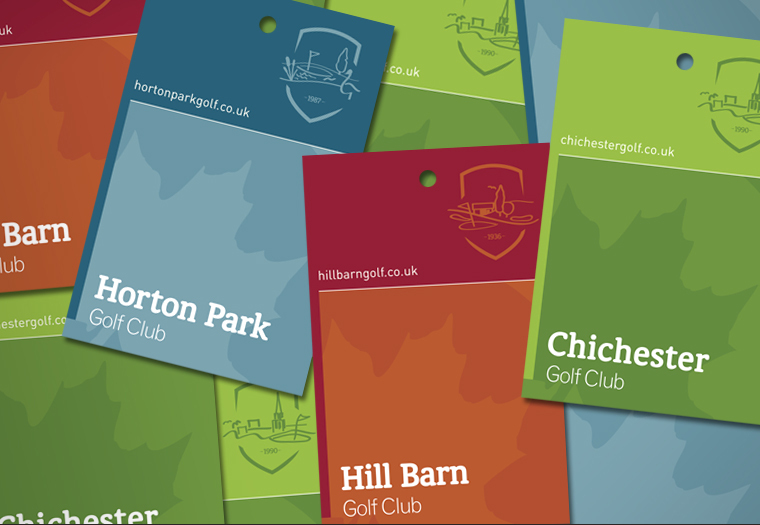 The courses’ bag tags were considered amongst an array of other marketing & branded items to bring continuity to the group of courses. 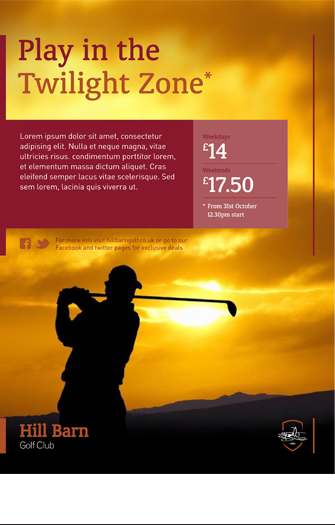 Example of one of the course's current websites.